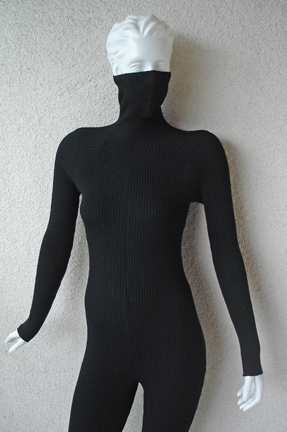 This is a rare Gernreich piece, circa 1970 black unisex unitard. 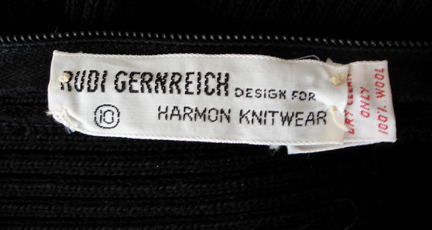 It is an iconic Gernreich and is documented on page 182 and pg 186 of "The Rudi Gernreich Book", by Peggy Moffitt and Bill Claxton. 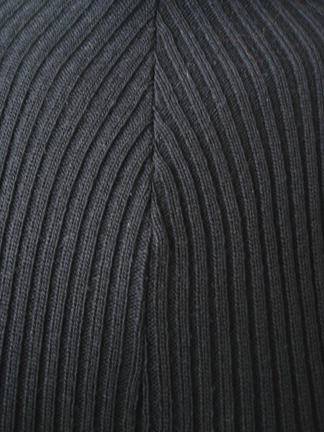 Fashioned of black ribbed stretch wool featuring attached ankle straps that secure leg in place for a long sleek body hugging look. 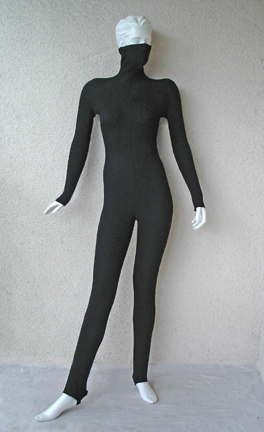 Unitard neckline is designed to cover face to eyes and features a nose protrusion with a back zipper closure with hook and eye to tighten around face. 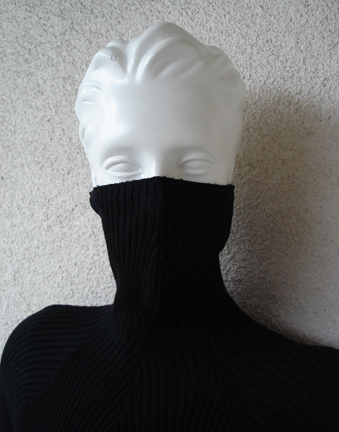 Gernreich believed that the future of fashion would evolve into unisex apparel with inspiration derived from the body's form rather than gender. 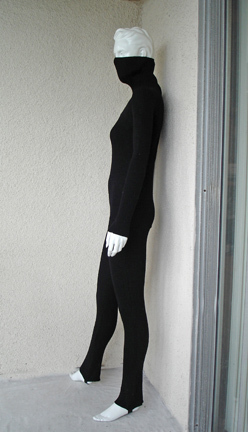 This iconic unitard is an excellent documented example of this futuristic projection. 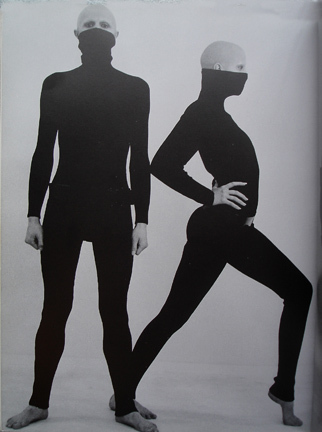 This unitard would make an excellent acquisition, as do my other Gernreich pieces. 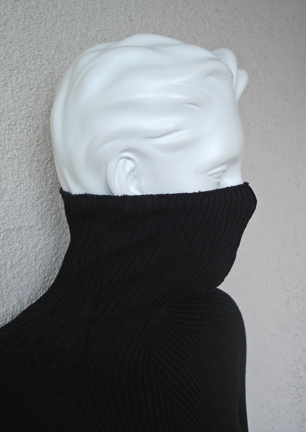 They are all iconic, important, and demonstrate a progression from early Gernreich to late Gernreich, an iconic progression of his thoughts and style. Condition: Excellent, with no wear, no holes.